The Kingkone comes in two types; a two piece blow moulded 460mm cone, or a one piece, sand weighted, blow moulded 750mm cone. 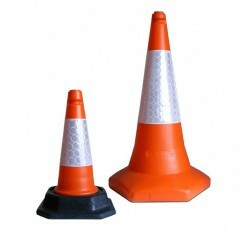 Two-piece blow moulded cone, with recyclable PVC base. Extra strong sand ballast retention.